Come explore with us! 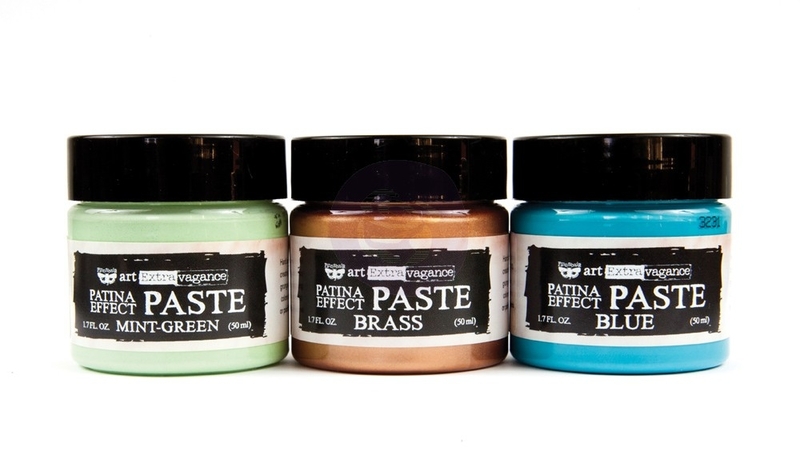 Finnabair has a beautiful selection of Patina Pastes that will work with any idea you have in mind, from dressing up a clay pot, to adding a vintage touch to an album or altered project. 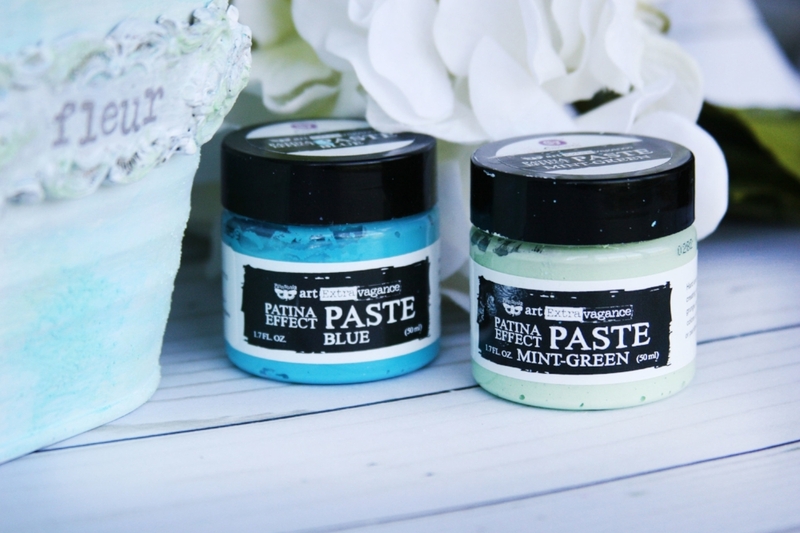 What is Patina Paste? An opaque, thick paste with a matte, patina-like finish. Hard and permanent, yet flexible, when dry. Perfect for creating patina texture (each color has a different texture) and adding dimension, great for steampunk, grunge, and masculine projects. For best effects apply three colors of the paste with a sponge, palette knife, texture tool, or paintbrush. Water-based. archival-safe. non-toxic. Available in: Blue, Brass, and Mint-Green 250 ml jars, and a mixed set of all three jars. Ola turned this book into a piece of magic with a touch of Patina Paste! The main base was colored with Blue Paste, but you can see touches of Mint Green and Brass colors accenting the look and delivering more luscious layers. Rust Paste is a cousin to Patina Paste! With a variety of colors and sizes you are sure to find one to fit your project needs. What is Rust Paste? An opaque, thick paste with a matte, rust-like finish. Hard and permanent, yet flexible when dry. Perfect for creating rusty textures and adding dimension. Great for steampunk, grunge, and masculine projects. For best effects apply three colors of the paste with a sponge, palette knife, texture tool, or paintbrush. Water-based, archival-safe and non-toxic. Available in: Red, Brown, Yellow 250 ml jars, along with Original, Military, Metal, and Camouflage three jar sets. You will love the color and texture that Patina Paste will give your project! And they work for multiple styles...from grungy and dark, to light and airy. I added white gesso to the metal tin above, then dabbed on Blue and Mint Patina Pastes to create this textured tin, which I absolutely LOVE!